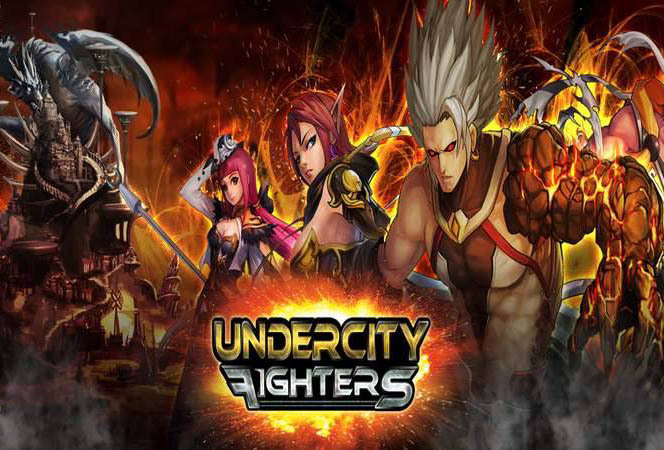 Undercity Fighters - A great civilization once thrived in Cinderea Realm. However, the Netherworld disciples put an end to all the glory of the realm. With tremendous power, a disciple named Cain opened the great rift that served as a portal between the Netherworld and the mortal one. The great Belmare Empire was shattered with the invasion of swarms of monsters, and was thus plunged into war. At the moment of desperation, four brave warriors stood up against this evil force and together they defeated Cain as well as the invading evil forces. With their last breaths, they sealed the great rift. Peace was restored to the mortal world, but at a very heavy price. Brace yourself for the ultimate fighting game challenge in 2015! Armed with your skills and trusty pet imps, you have to defeat the evil monsters before you can eventually take down Cain himself. If that isn’t challenging enough, hit up other players and pit your skills against theirs in the PvP arena. Now let’s see just who is the strongest fighter in the Realm! And if that still isn’t enough, try climbing the Dungeon Tower or take on the Devil King quest! That should keep you occupied for a pretty decent while! Undercity Fighters: install APK and play the game!